Diet over regular soda was recommended (this patient has been guzzling soda by the case for decades…). There was one reference to drinking water — in 2 hours! No guidance on how much to drink. For someone whose breakfast has been a can of coke! well, a bit more dialogue is needed. I know very little about diabetes — other than it is lifestyle altering and can be very disabling if not taken seriously. I promised I would go shopping for him and stock up his cupboards. He was all set on buying “diet” jam —is there such a thing? — while there are several naturally sugar free marmalades and fruit spreads. It had never occurred to him that conventional ketchup has high fructose corn syrup in it. Ew. My tastebuds have become so refined I can hardly eat that stuff! I will buy him a delicious bottle of ketchup — made from real food with no junk. I learned about a soda alternative, Zevia. He’s been spending 22 grams of sugar on some chocolate energy drink (8 ounces). Rebbl instead — SO delicious I can hardly stand it. Made with Reishi (lingzhi) with no junk in it. If YOU know of something that will help him, please share! And, what I am most excited about (if it’s possible to find something to be excited about in a situation like this) is he gets to use his Helo LX to compare his actual finger poking to test the accuracy — three times daily. 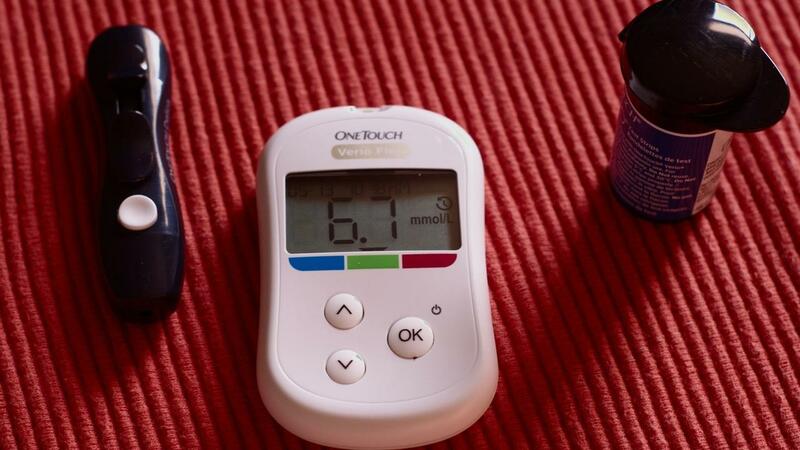 And if necessary, he’ll buy the Helo LX+ which has the highest level of accuracy in non-invasive blood sugar readings. Crazy, isn’t it? This thing, this journey, called life? • Need help in the kitchen? I know my way around one! • Need help buying a Helo LX? Or want to learn more? I can help you! • Consider my upcoming Nourish Your Way Home program. Coming very soon!